ï»¿Gauges 11-14-18p-28-38-48ï»¿ï»¿. Pack of 2. 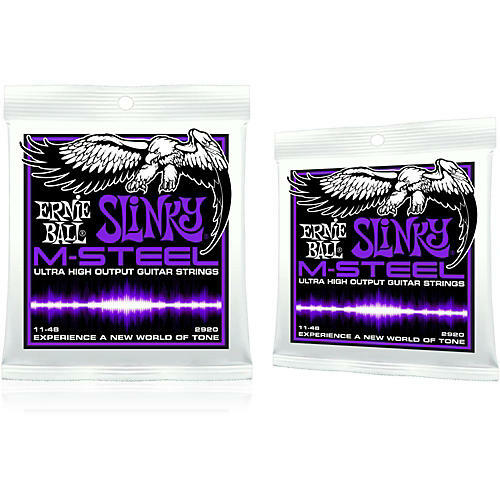 M-Steel Power Slinky Electric Strings are a perfect match for those who like chunky rhythms for rock-and-roll or blues. Ernie Ball's M-Steel strings are made of M-Steel, short for Maraging Steel, is a superalloy used in high stress applications for the aerospace and defense industries.